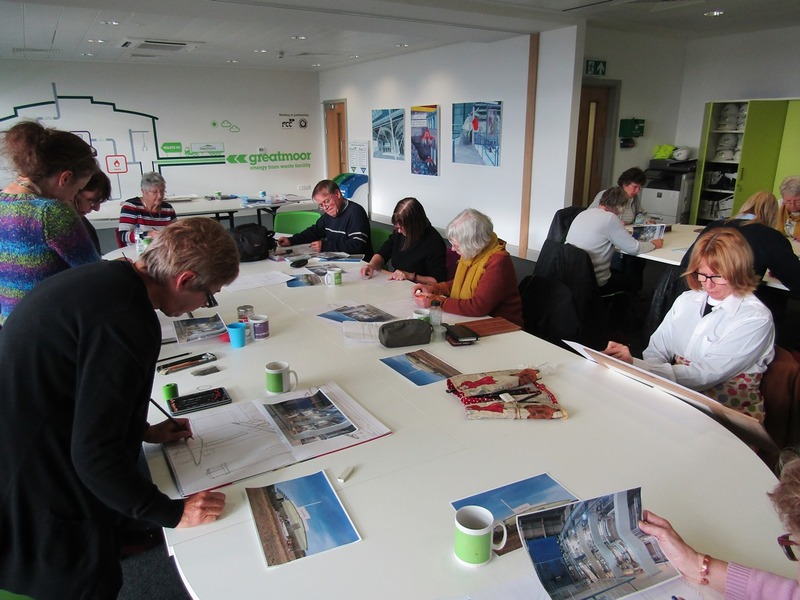 Fifteen intrepid artists from as far afield as Gloucester and London attended our “Drawing Greatmoor” course on Friday 9th November. After a brief introduction to Greatmoor, artist Sarah Moncrieff discussed her methods and the reasons behind her paintings of Greatmoor and other industrial facilities. 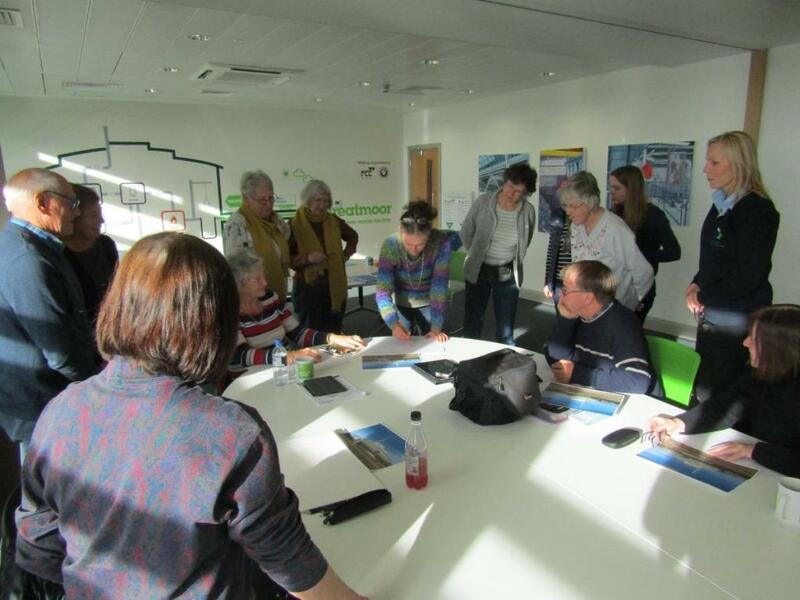 The group were then taken on the usual visitors’ tour of Greatmoor, though unlike other groups there was lots of focus on the shapes and designs of the equipment and how this would translate into artworks. After a quick lunch everyone then settled down for an afternoon of drawing. 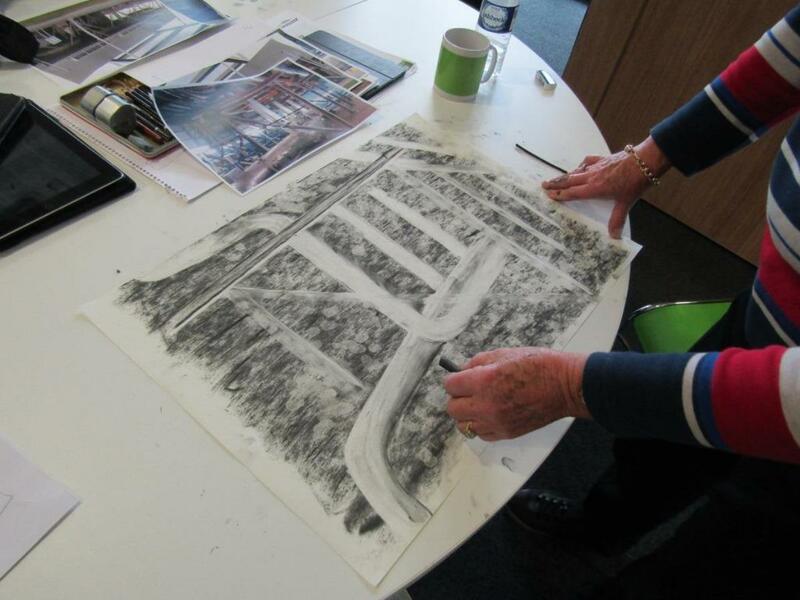 In the first activity, Sarah handed out a photograph of an exterior view of Greatmoor, with the instruction that we were to draw it using a single line and without taking our pencils off the paper. This followed with an activity drawing the turbine hall with our “other hands” – which was even more challenging. The condenser fans were the next subject. This time we could take our pencils off the paper, and also use the correct hand – however this time we were drawing upside down, in order to concentrate on the shapes and patterns of what is actually there. Finally after a messy session with charcoal, everyone had half an hour or so to begin work on a piece to be continued and developed at home. The comments and feedback on the day were very positive and everyone looked like they were enjoying themselves.